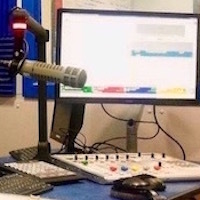 This site covers the first 15 years of Radio Hillingdon and contains archive pictures, news stories and history profiles of some of the early members of Radio Hillingdon. Our station is in Hillingdon Hospital in Middlesex, England. Our main website is HERE where you can read about our station as it is today. 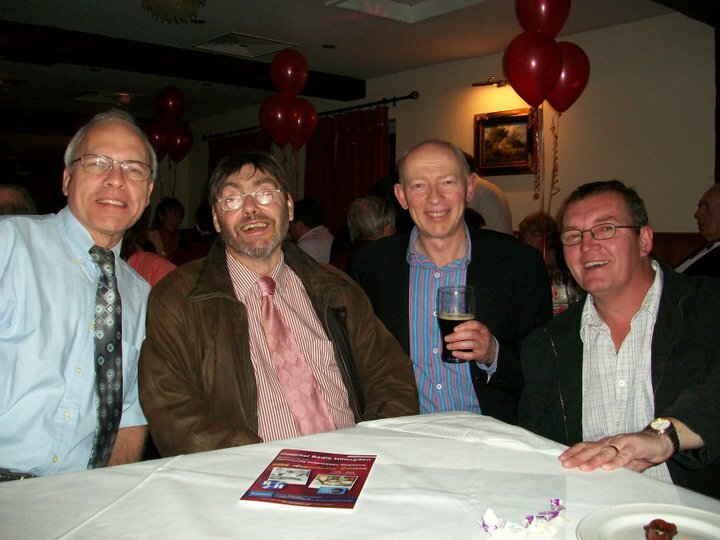 David Brown, John Mandrak, Bob Barton and Alan Green at the 40th Anniversary Party. Back in November 2002 I came up with the idea to start this part of the Radio Hillingdon site due to comments made to me when I was at John Mandrak's 50th birthday party. Like myself, John is a founder member of Radio Hillingdon but we lost touch when he left the station and also moved out of the area. John's sister Mary Mandrak (now Mary Phillips) managed to find many of the original early members and setup a surprise 50th birthday party for him. With many ex members reminising about the old times and showing each other pictures from 30 years ago I started to collect email addresses and asked if people could email me their pictures. The outcome of this was me starting this website. It is hosted on the same server as the main Radio Hillingdon site. John's party pictures along with all the archive photos that have been sent in are in the Photos section. If you have any old Radio Hillingdon pictures that you think would be of interest to others please send them in to me using the Contact Us section above.